We are on a journey through Japan we have and will visit several wonderful and beautiful places in this great country, the mother of haiku, but I love to discover also some real and awesome kinds of Arts of Japan. 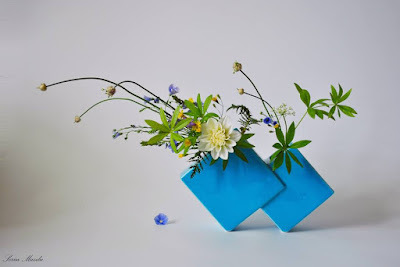 Ikebana ("arranging flowers") is the Japanese art of flower arrangement, also known as kadō (the "way of flowers"). The tradition dates back to the 7th century when floral offerings were made at altars. Later they were placed in the tokonoma alcove of a home. Ikebana reached its first zenith in the 16th century under the influence of Buddhist teamasters and has grown over the centuries, with over 1000 different schools in Japan and abroad. The most well-known schools are Ikenobo, Ohara-ryū, and Sōgetsu-ryū. More than simply putting flowers in a container, Ikebana is a disciplined art form in which nature and humanity are brought together. Contrary to the idea of a particolored or multicolored arrangement of blossoms, Ikebana often emphasizes other areas of the plant, such as its stems and leaves, and puts emphasis on shape, line, and form. 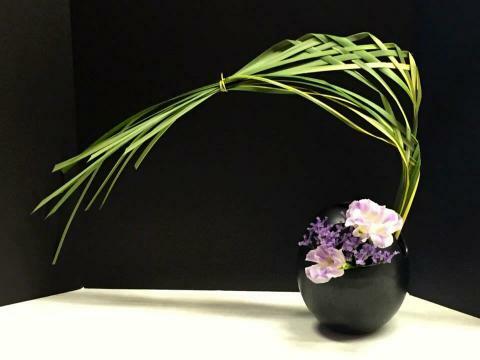 Though Ikebana is an expression of creativity, certain rules govern its form. The artist's intention behind each arrangement is shown through a piece's color combinations, natural shapes, graceful lines, and the implied meaning of the arrangement. 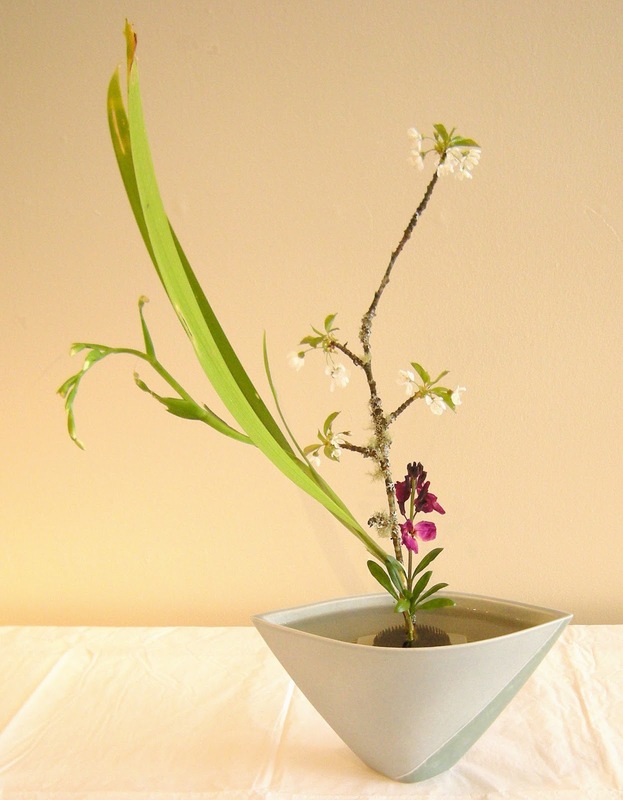 The spiritual aspect of Ikebana is considered very important to its practitioners. Some practitioners feel silence is needed while making Ikebana while others feel this is not necessary. It is a time to appreciate things in nature that people often overlook because of their busy lives. One becomes more patient and tolerant of differences, not only in nature, but also in general. Ikebana can inspire one to identify with beauty in all art forms. This is also the time when one feels closeness to nature, which provides relaxation for the mind, body, and soul. Recent historical research now indicates that the practice of tatebana ("standing flowers"), derived from a combination of belief systems including Buddhist and Shinto Yorishiro, is most likely the origin of the Japanese practice of Ikebana that we know today. During ancient times, offering flowers on the altar in honor of Buddha was part of worship. Ikebana evolved from the Buddhist practice of flower offerings combined with the Shinto Yorishiro belief of attracting kami by using evergreen materials. Together they form the basis for the original purely Japanese derivation of the practice of Ikebana. Isn't it wonderful? All those beautiful aesthetic kinds of art in the mother land of Haiku. Haiku isn't the only art form as we will see in the upcoming days. I hope to create a few episodes in a row about Japanese art work. For this episode I have tried to create an Ikebana tanka in which I have tried to bring the beauty and serenity of this art form together with the beauty of tanka. Unfortunately I couldn't find an Ikebana art work as described in this tanka, but I think you can imagine the sight of it. This episode is NOW OPEN for your submissions and will remain open until February 17th at noon (CET). I will try to publish our next episode later on. This was beautiful and also educational! And your haiku and tanka really brought it home for me, Kristjaan. The way you wrote this post with such a flourish of sincerity and enthusiasm is inspiring. You truly elevated this art form. The first haiku examplified the silent patteen of ikebana, but ylyr second added so much. The final tanka was worthy of your nane. I agree :) ... so wonderful!